Arranging wedding transportation is almost as crucial as booking the venue and the officiant. Guests will travel from all over for your special day, so let us provide buses to streamline their travel plans--the last thing you need is late guests or wedding party members. We take pride in our reliable charter bus rentals that help transport thousands of people in Las Vegas each year. In the busy city of Las Vegas, charter buses are constantly being booked for large events and conventions. The last thing you want to do is wait until the last minute to reserve bus transportation to and from your rehearsal dinner, ceremony, and reception. For the best availability and prices, call us today at 702-780-0886! If your guests are coming from out of town, we can organize a charter bus to conveniently transport them all at once to your venue. If the people in your wedding party are all staying together, rent a minibus to transport them to your picture locations. This way, both the groomsmen and bridal party can stick together, ride in style, and enjoy a little fun along the way with music and drinks. Even minibuses have plenty of legroom and storage compartments for your creative photo props and last-minute makeup and hair fixes. Whether your wedding guest list is big or small, we can accommodate groups of any size. Our friendly staff is available 24/7 to assist you in booking your special requests. We understand the stress that may come along with planning a wedding. 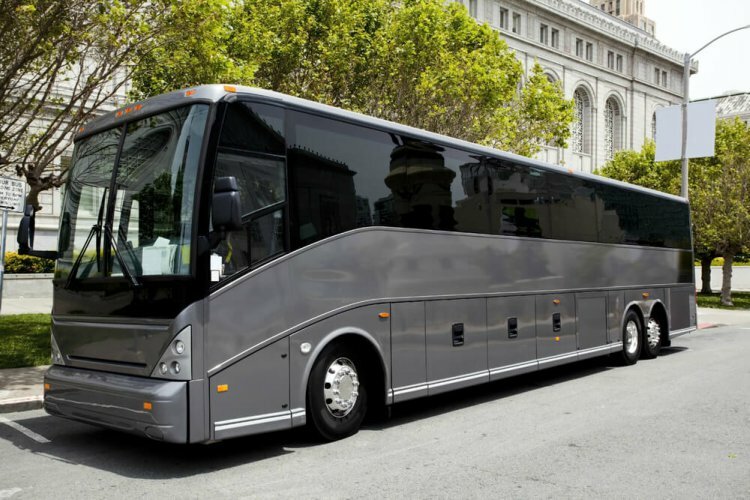 By booking a charter bus with Las Vegas Charter Bus Company, the heavy lifting is done for you so that your special day runs as smoothly as possible. We service safe, reliable charter buses and minibuses for both local and destination weddings. Our professional drivers are exceptionally experienced and highly trained to transport a group of any size to virtually any location. Many of the buses we charter are equipped with surround-sound, Wi-Fi, power outlets, and cushioned seating. If your guests are traveling from out of town and need to catch up with work or school assignments, they can open their laptop and begin working. Call us at 702-780-0886 to begin planning bus services for your big day. We’re looking forward to working with you soon!